ALLEGRA BOVERMAN/Staff photo. Gloucester Daily Times. 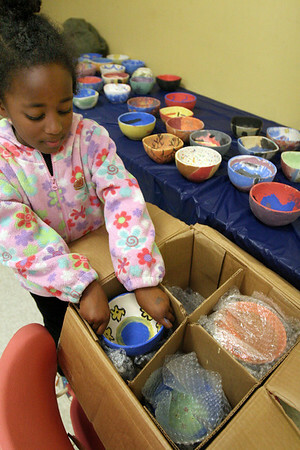 Gloucester: Bezzie Strong, 6, of Gloucester, carefully packs finished painted bowls for transport to the kiln of Marty Morgan in Gloucester.